quantity: 100 pcs asking: $11.00 wholesale: $22.00 style no. : 262006 description: Opening Night Bracelet. 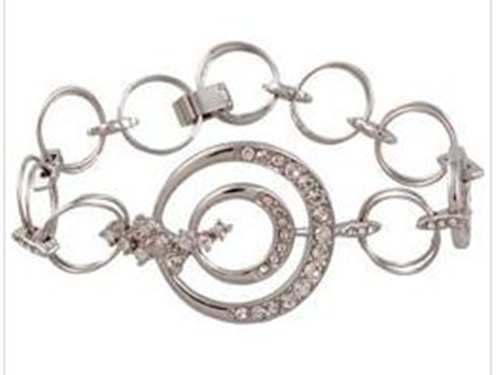 Delicate and lightweight; rhodium plated, silver toned bracelet with Swarovski crystals. Fits most wrists. Packaged in clear plastic bag. Faux velvet jewelry bags available for packaging.